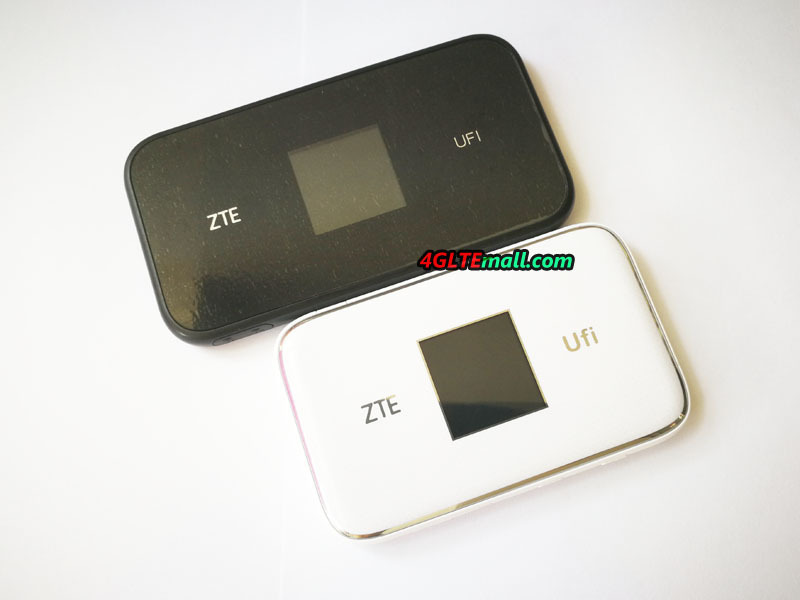 ZTE UFi MF980 VS MF970, Which ZTE LTE UFi is Better to Buy? With the upgrade of LTE network to LTE Advanced or Advanced PRO, the vendors are also trying to upgrade their wireless gadgets so as to meet the market demand. 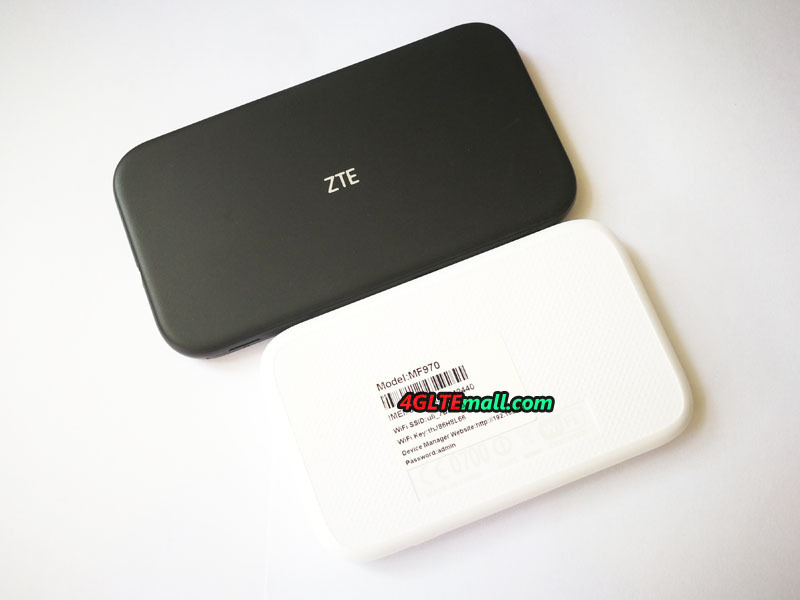 As we introduced the ZTE MF970 UFi last year, ZTE presented a new 4G LTE Router ZTE UFi MF980 as a successor. In this article, we will see what has been improved on the new ZTE MF980 UFi comparing to ZTE MF970. As we showed the images, ZTE MF970 UFi is in white color and the screen is on the middle of front with “ZTE” and “UFi” listed at each side of the 1.44 inch screen. Following this design, ZTE MF980 UFi also has a 1.44 inch screen and the same two words ZTE and UFi, but MF980 is in black color. But ZTE MF980 is thinner than MF970 and has long body. 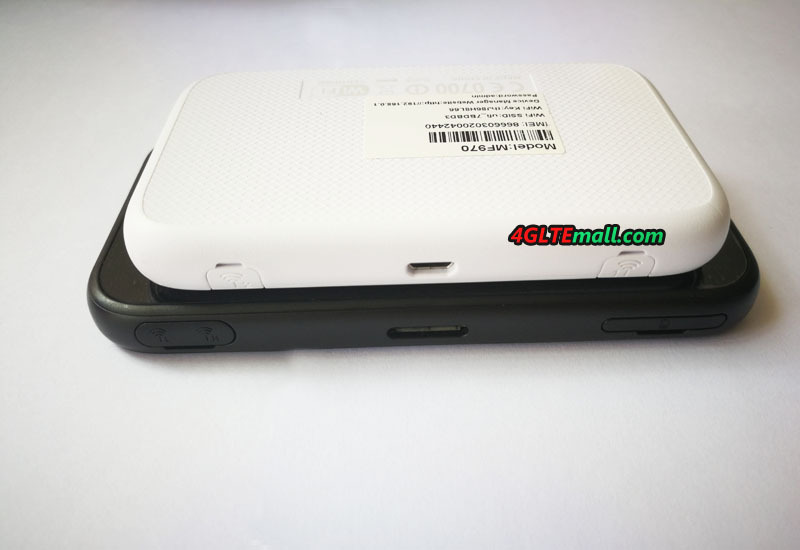 ZTE MF980 has power and func button on the top edge, which is same to ZTE MF970, but the SIM card slot is also with the two buttons in MF970, while the SIM card slot is at the opposite edge in ZTE MF980. 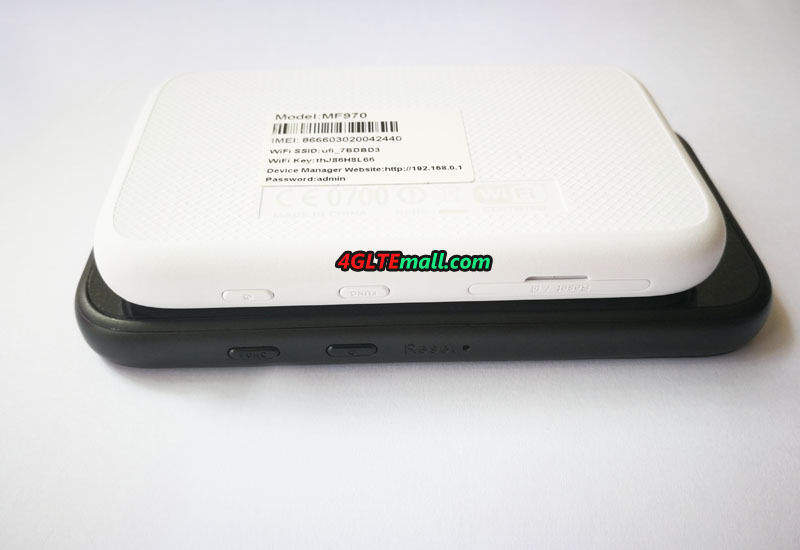 The two connectors for external antenna for ZTE MF980 are located together while the MF970 has two connectors located at each side of the USB 2.0 port, where ZTE UFi MF980 has USB3.0 port. On the back, UFi MF980 has ZTE logo on while the MF970 shows some information about certificate for CE, WiFi and RoHS. As we introduced before, the ZTE UFi MF970 is a LTE Category 6 mobile router which could support peak download speed to 300mbps and upload speed to 50mbps. In real product, it may be the Vodafone R226 or R226Z model. As the upgraded model for LTE advanced network, ZTE MF980 UFi supports LTE category 9 technologies and peak download speed to 450Mbps and upload speed to 50Mbps. They both support the common LTE FDD & TDD networks with 3G UMTS and 2G GSM networks backward. On this point, there is no doubt that ZTE MF980 UFi is more powerful than ZTE MF970 if working on LTE-A networks. ZTE UFi MF970 could support up 14 wireless terminals to access internet when working with a valid SIM card, while the new MF980 UFi can support almost double of the qty to 32 WiFi-enabled devices. They both provide the WLAN standard to latest 802.11 ac with dual-band. Like Huawei E5786 4G Mobile Hotspot, the ZTE MF970 and MF980 are both with the built-in battery, which can’t be removed for change. One question that we don’t understand is that the newer model ZTE UFi MF980 has battery capacity to 2200mAh when the predecessor MF970 has larger battery to 2300mAh. Many of the current 4G mobile router with same level are with 3000mAh battery or even more. What frustrating is the battery can’t be removed for backup battery. So if you would keep them working for long time, you’d better to take a bank power with large capacity. On this point, the latest Huawei E5885Ls-93a seems more powerful with LTE-A support and built-in large battery. There is no doubt that the ZTE MF980 UFi is powerful on technical features, especially working on LTE advanced Pro networks for multiple users with group activities. But the decent battery would limit its long term performance. ZTE MF970 UFi is also good if you don’t quite need the LTE advanced pro network and just need a budget mobile pocket router. 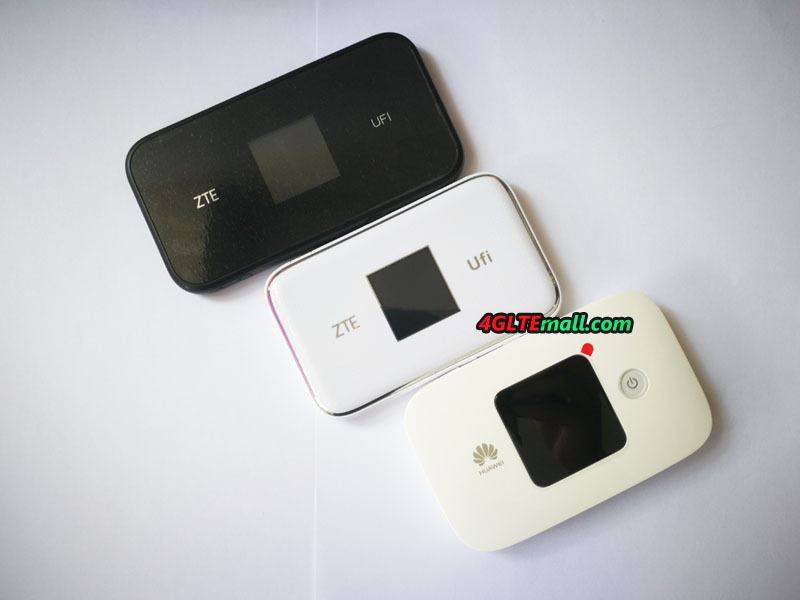 After reviewing the two ZTE LTE UFi, which one will you buy?